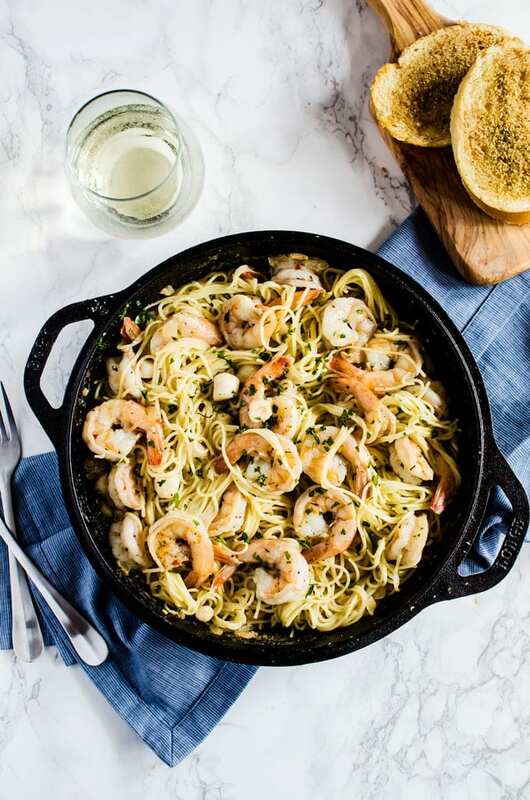 Dinner just got a whole lot better with this brown butter shrimp scampi with scallops. This delicious pasta dinner is ready in about 30 minutes and very little work! 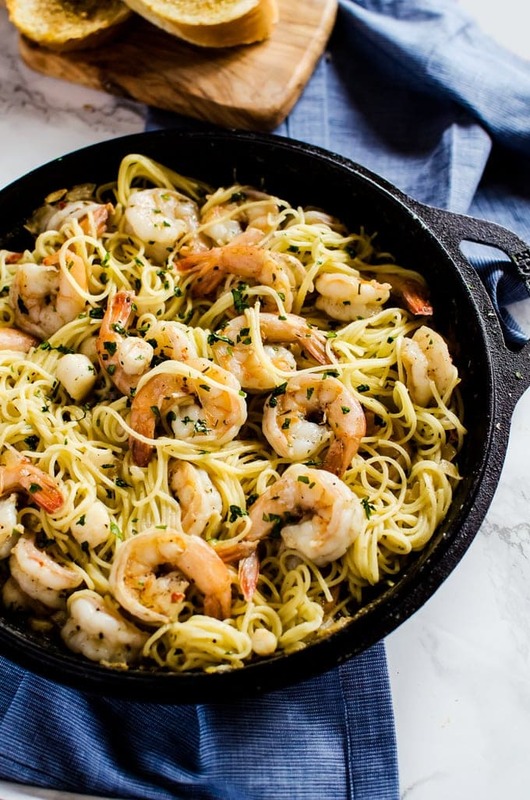 Shrimp scampi has been a favorite meal of mine since I was in high school and my dad would occasionally make these dinners that always seemed so elaborate. Well, more elaborate than pork chops and rice for the third night in a row. I always looked forward to his seafood dishes. Shrimp scampi and seafood linguine were my favorite. 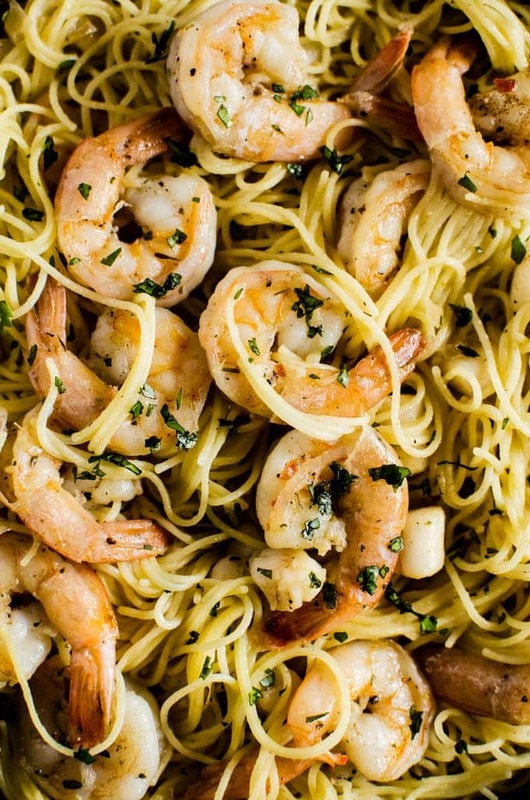 He always made his scampi with angel hair pasta and as spicy as possible. It was amazing. I haven’t had shrimp scampi in such a long time. I am talking maybe 6 or 7 years when my flatmate made it for us and I would make a brown butter and paprika version. There isn’t any real reason for it. I always have a lot of seafood around and the rest of the ingredients are pantry essentials. I suppose I was always under the assumption that it was too advanced for me. Well, it wasn’t. And it’s definitely not too advanced for you either. This dish is done in about 30 minutes – and that’s being generous and making your own garlic bread! And yes, I am going to have you make your own garlic bread here. You don’t have to do it, but trust me, you will want to because it is brown butter garlic bread and brown butter makes everything so much better. Plus it’s soooo simple. I know I’ve probably beat that over the head already, but it’s only because it’s true. Take it from someone who is a self-proclaimed lazy cook. 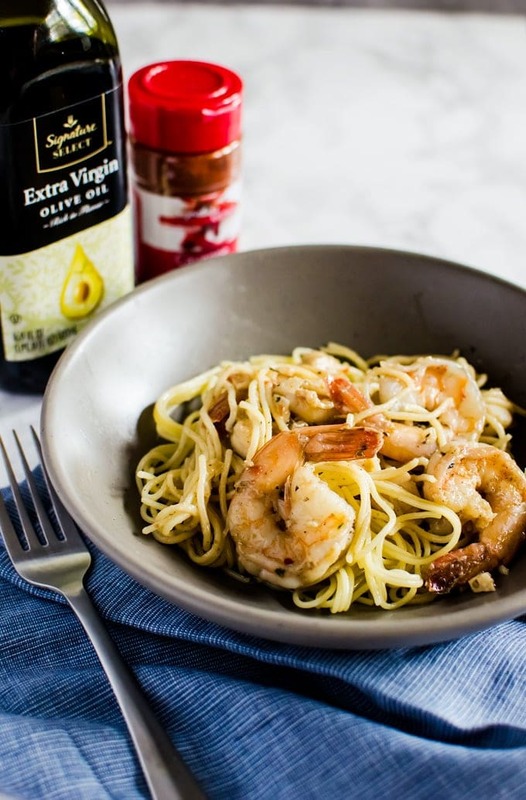 Ever since discovering how easy it is to make this brown butter shrimp scampi with scallops, I’ve been making it regularly. And I have garlic bread with it every time. It’s essential. 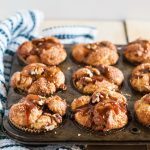 I mean, if you are going to go carb crazy, you may as well go all out, right? Except for the shrimp and baby scallops, I am sure you have everything in your pantry because they are items we usually buy during our regular trips to the store. If you happen to need to stop by the store to pick up one or two of the ingredients, Albertsons Company’s family of stores, like ACME, carry a new line of products called their Signature line which have excellent quality and incredible value for your dollar. They include 4,000 items – from pantry staples to fresh produce to fried chicken,. They even have delicious foods to trusted home staples – all with a 100% money back guarantee. 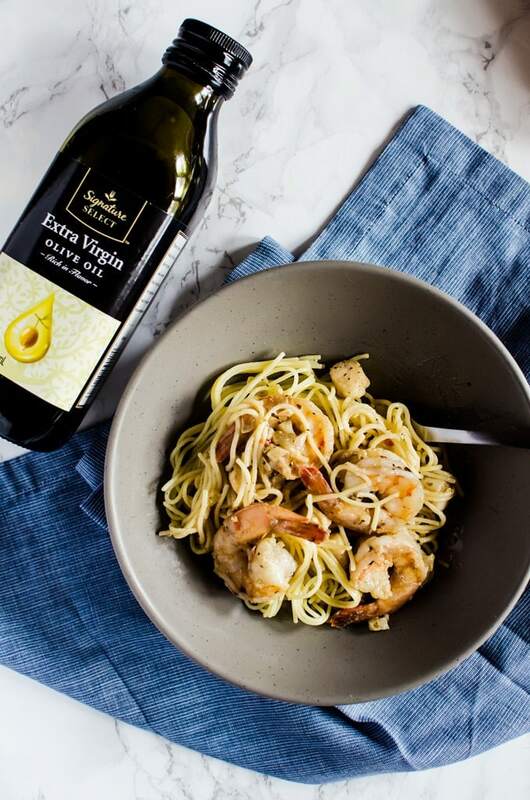 So while you are shopping for everything you need for this brown butter shrimp scampi, you can pick up everything else you need at a great price. 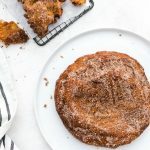 You can find out more here, and if you go under the recipe, you can find a giveaway for a $25 gift card to ACME! 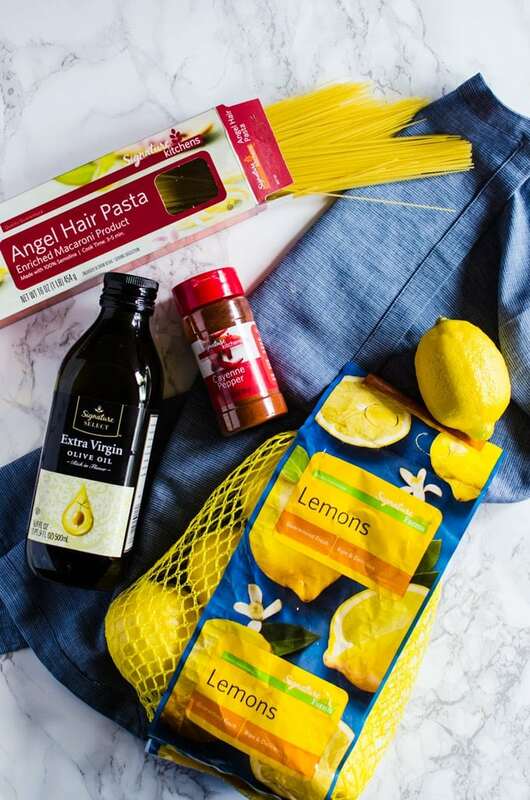 Once you’ve got all your ingredients, you have a couple of decisions to make before making your brown butter shrimp scampi. First, do you want your scallops seared? Sometimes that sear makes them sooo tasty, but I was using baby scallops, so it didn’t matter to me. If you want the sear, cook them before everything else and keep warm. If it doesn’t matter to you, do what I did and cook it with the shrimp. 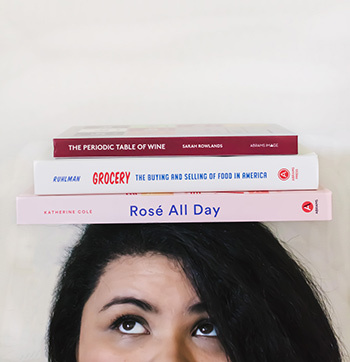 Second, do you want to include wine in your recipe? 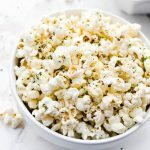 For me, it makes the dish taste amazing, but the brown butter is really the star, so it isn’t essential. If you don’t want to use wine, use chicken or vegetable stock instead. That’s about it! I recommend using frozen shrimp because they release more juices when you cook them and that creates a sort of broth we use to cook down for the sauce. If you want to use fresh, go ahead, but you might need just a touch more wine, stock, or even water. Once you’ve figured that all out, you are ready to get started! In a skillet, melt the butter and stir constantly until it browns and smells nutty. Set aside. Add the pasta to boiling salty water and cook until al dente (about 5 minutes roughly). When finished, drain, rinse, and lightly coat in a tablespoon of the oil. Set aside. While the pasta is cooking, add 2 tablespoons of the brown butter and two tablespoons of the oil to a large pan an heat on medium high. Add the shrimp and scallops and cook until the shrimp and scallops are opaque and the shrimp is lightly pink. Do not cook until the shrimp curls into a tight circle otherwise it will be tough and rubbery. You should need to cook for about 2 minutes on each side. Add the shallots, garlic, cayenne, and red pepper to the hot pan and cook until the shallots are translucent. Add the white wine and the juice from the lemon to the pan and cook until it is reduced to half. Stir in two more tablespoons of brown butter. Toss in the parmesan, shrimp, and scallops. Toss in the angel hair pasta and parsley. Heat for about another minute to rewarm the pasta. *For the garlic bread: take a loaf of crust bread and cut medium-sized slices. Grate a garlic clove on a microplane or very finely dice. Stir into the remaining brown butter and add a touch of parsley. Brush the mixture over the slices of bread and bake in an oven at 350 degrees F for about 5 - 7 minutes. I do this right after I add the shrimp to the pasta so I can turn up the heat in the oven. They are finished a couple of minutes after the pasta, but not by much! This looks divine! A perfect fancy weeknight meal that actually seems very approachable! But lovely enough for company or a date night in 🙂 Definitely going to have to try it soon! Made for dinner tonight. We enjoyed it and will make again!